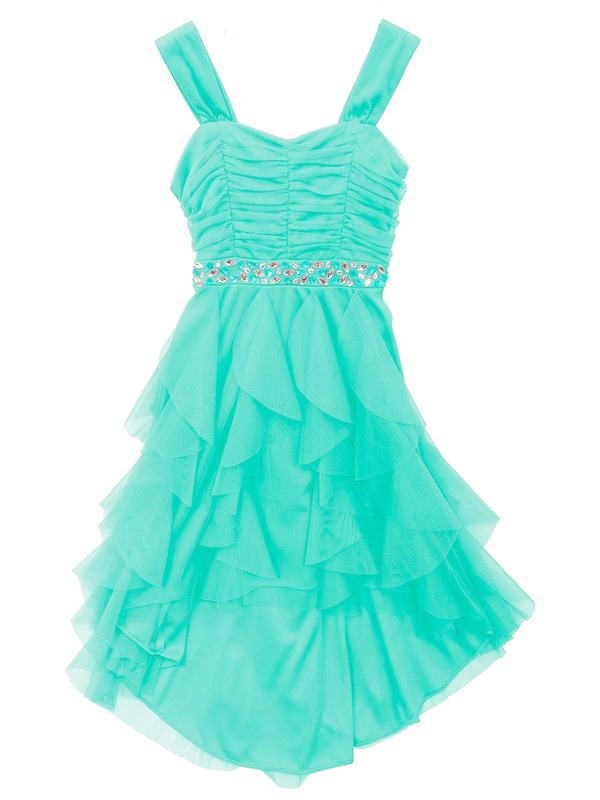 Gorgeous mint cascade mesh dress features jeweled waist, layered hemline and shirred bodice with sweetheart neckline. Back zip. Lined. Stunning!